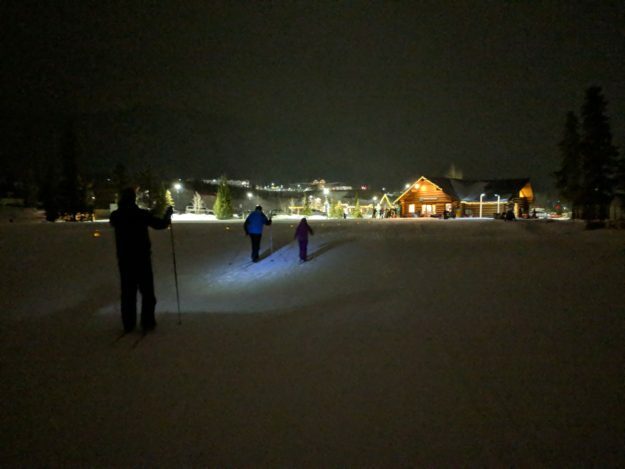 On February 9, 2019, the Frisco Nordic Center will host the 49th Annual Frisco Gold Rush, Eat, Ski & Be Merry progressive dinner and a Fourth of July in February fireworks display. The Frisco Gold Rush is the longest running Nordic event in Colorado, and Gold Rush Nordic races are open to skiers of all ages and abilities. “Frisco is proud to host the longest running Nordic race in Colorado, and consistent early season snow is delivering the kind of conditions that make this race so gratifying and fun for the Nordic community,” stated Sara Skinner, Recreation Programs Coordinator. Guests may register for Gold Rush races at FriscoGoldRush.com. Pre-registration is open through February 8, 2019 at 12:00 pm and entry fees vary from $10-$60 per race. Day-of/on-site registration fees will increase by $5.00 per race. Day of registration and bib pick up for citizen races will be available from 7:30 am – 10:00 am on Saturday, February 9, 2019 at the Frisco Nordic Center. There will be awards for the top 3 male/female finishers in each race, 7.5k classic, 7.5k skate and 20k. There will also be age category winners. A prize will be given to the first place winner in each of the following age categories: 19 & under, 20-29, 30-39, 40-49, 50-59, 60-69, 70+. Overall winners will not eligible for age category prizes. Ski along an Illuminary Lighted trail and enjoy delicious stops along the way! 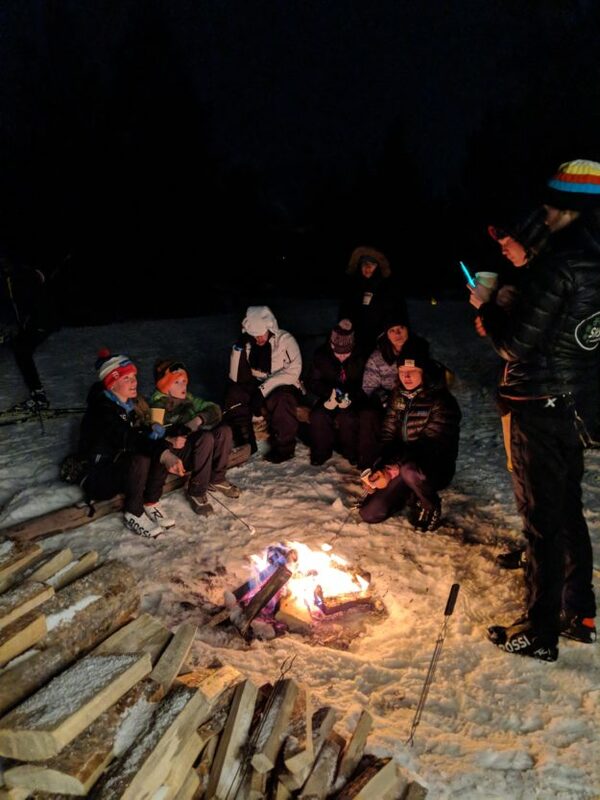 For a third year, the Summit Nordic Ski Club will be hosting and benefitting from a Progressive Ski Dinner: Eat, Ski and Be Merry, which will feature food, drink, 3 bonfires and 300 luminaries on a 2k loop at the Frisco Nordic Center on Saturday, February 9 from 6:00 pm to 10:00 pm. Guests are invited to ski or snowshoe their way along the fire-lit route on the Frisco Peninsula complete with food and beverage. The evening will end with the dinner finale and a party at the Frisco Adventure Park Day Lodge with music, drinks and more food. Online ticket sales at SummitNordicSkiClub.org and in-person ticket sales at the Frisco Nordic Center will be available until February 8, 2019. This event sold out last year so there will be no day-of ticket sales. At 7:00 pm on Saturday, February 9, 2019, the Town of Frisco will host a fireworks display using more of the fireworks from the cancelled 2018 July 4th fireworks display. The January Spontaneous Combustion fireworks show benefited from the addition of these leftover fireworks and now Frisco’s Nordic legacy will be celebrated with this display, capping off Frisco’s Gold Rush. 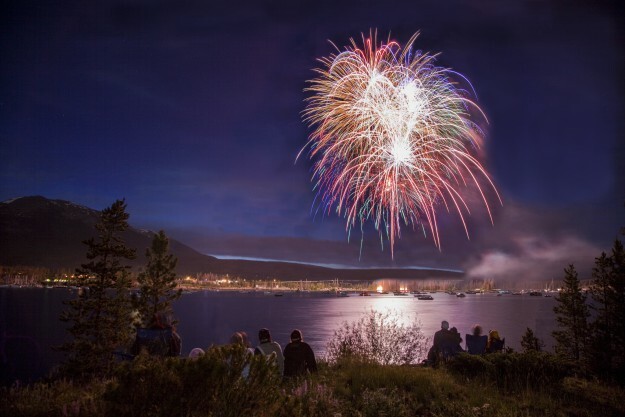 These fireworks are being set off from an area near the Frisco Bay Marina, but will be visible from around town with the best viewing from Frisco Main Street and at the Frisco Nordic Center. This will be a wonderful weekend that has become a tradition to attend in Summit County and to many Nordic skiers around the state.